As per the officials, an estimated $2 million worth of methamphetamine and marijuana was seized and taken into custody this week. 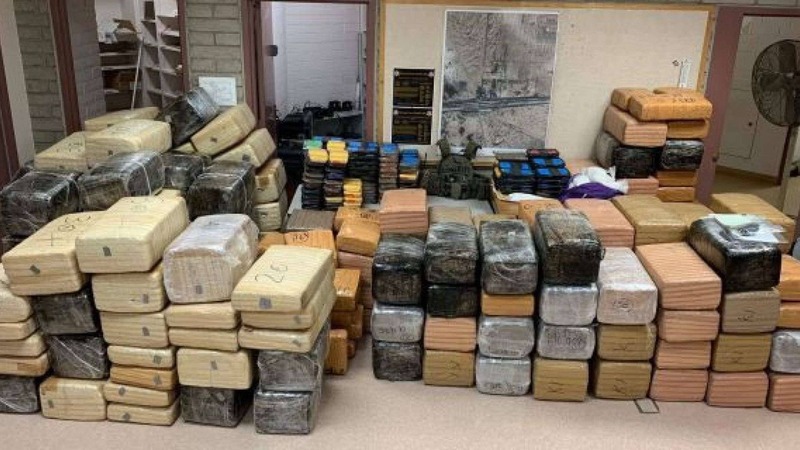 The Maricopa County Sheriff’s Office said in a press release that the drug seizure that took place on Wednesday was roughly about 200 pounds of meth and 3500 pounds of marijuana. According to the Sheriff’s office, the detectives on the night of Wednesday witnesses two trucks that were trying to avoid the U.S. Border Patrol checkpoint near Gila Bend approximately an hour of Southwest Phoenix. They were trying to get into the desert while keeping their lights off. At this, the Border Patrol personnel placed spike strips on the ground in front of the trucks which deflated the tyres and forced the trucks to stop. After that four people got out from the truck and ran to try and evade the police. However, as per the Sheriff’s office, three of them were eventually caught by the Patrol force. Upon inspecting the abandoned trucks, Police found around 3,500 pounds of Marijuana and almost 220 pounds of Meth. The officials also informed that the trucks that had been used to transport the drugs were stolen and they had fake number plates. All three men have been charged in connection with the theft of a vehicle and on account of smuggling drugs. The Sheriff of Maricopa County Paul Penzone said in a statement that the seizure of drugs is the result of exceptional work and effort by the Police. Also, the seizure reflects that growing demand for drugs in the country and how it continues to be an epidemic. Illegal supply and consumption of drugs is the most significant cause of crime, gang activity and violence which continues to affect the population.